There has been a marked improvement in the IHS Markit/CIPS Purchasing Managers’ Index (PMI) results for July, since the disappointing June figures. • Lengthening of supplier delivery times. New orders received a welcome boost throughout July, with new export business making a notable contribution. Demand from overseas increased at the most impressive rate since April 2010, when record demand was recorded in the survey. • Europe – which is encouraging in light of Brexit. Domestic demand was also firmly in positive territory, albeit at lower levels than earlier in 2017. Production grew for the twelfth month in a row, and, although it grew at a slower pace, it is still above average levels recorded in the survey. The boost in output and new business contributed to jobs growth in the sector for July, growing again for the twelfth consecutive month. This was recorded as the best rate of growth for the past three years. “Input prices increased at the lowest rate for more than twelve months and demonstrate a big difference when compared with the very sharp increase seen at the start of the year,” observed David Johnson, director at currency specialist, Halo Financial. “Higher costs were put down to the increase in the prices of raw materials, fluctuating exchange rates and shortages of some materials, which was noted in previous months,” added Atul Kariya, partner and manufacturing sector lead at accountants and business advisors, MHA MacIntyre Hudson. 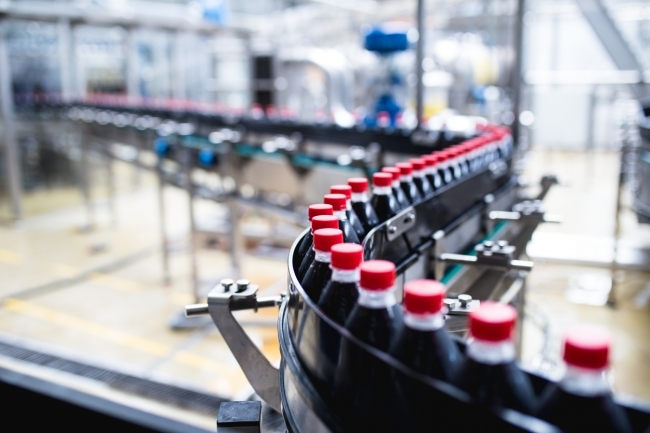 The outlook for the sector remains positive, with just under 50 percent of UK manufacturers expecting an increase in production over the next twelve months and only 5 percent predicting a decline. “This positive outlook comes from a noticeable increase in export orders, expansion into new markets and the launch of new products – both raised as key objectives for growth in previous surveys – and investment in resources, staffing, and improving capacity,” concluded Neil Lloyd, sales director at legal firm, FBC Manby Bowdler.